Federal Premium Ammunition has completely updated its website with many great new features for shooters. The new site is so rich, it takes a while to find all the new options. (Check out the Federal SITEMAP below.) For rifle shooters and hunters, two new features really stand out. First there is an interactive ammo information page that provides load components and ballistic data for all Federal ammo. Second, the upgraded Federal website is now “video-rich” with many high-quality product videos. CLICK HERE for Federal Ammunition SITEMAP showing all content. The new Interactive Ammo Info Page gives you detailed data for every type of ammunition Federal makes. Choose a chambering and load, then the web page will switch to detailed entries, with velocity (fps), energy (ft/lbs), wind drift (10 mph 90°), and calculated drop out to 500 yards. 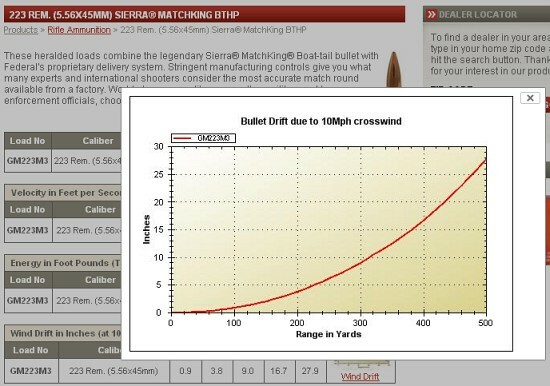 Data is provided for six distances: muzzle, 100, 200, 300, 400, and 500 yards. Click on a thumbnail chart and you can see the data presented in a graphical format (x,y axes). Federal’s new VIDEO PLAYER offers a variety of Product Videos. Watch “The Bullet Breakdown” to see performance of popular hunting bullets in ballistic gelatin. 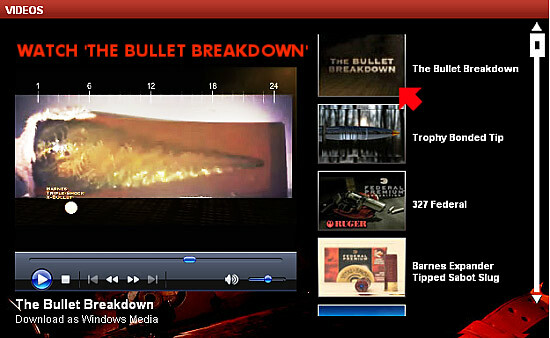 You can also DOWNLOAD “The Bullet Breakdown” (and other videos) to your hard drive. 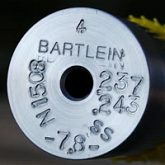 Share the post "Federal Upgrades Website with Ballistics Info and Video"
1. Always package your unloaded firearm so that it is not loose and can’t work itself loose during transport. I recommend, at minimum, you use a hardcase inside a cardboard box. You can order a hard case from any of the 6mmBR.com website catalog advertisers. It will come in a nice cardboard box. Just open the end and slide it out. Put your gun in the plastic hard case (after oiling the metal parts) and slide it back into the box. Then tape and relabel the box. Make sure marking on the box does NOT identify the contents as a gun. (You may be required to identify the contents to the shipping company or U.S. Postal Service clerk however.) For a very expensive gun, consider using a wood shipping crate. I will be making some shipping cases from plywood and foam line them. I will have to charge my customer a deposit and when they return the shipping crate I will return their deposit. 4. Always put the sender’s and recipient’s telephone number on the outside of the box with the address. I have neighbors call me all the time saying I have a box that was delivered to them by mistake. If there is any way the label could be torn off or ripped, write the number on the cardboard with a felt pen. 5. Always send your packages insured for full replacement value. Take time-dated pictures of the contents before you ship. (This is yet one more reason to get an inexpensive digital camera, such as the Canon A590IS.) If you’re shipping a firearm with special collectors’ value, deluxe wood, or engraving, be sure you have detailed, high-quality photos of the item so you can prove its worth. 6. Always send firearms and expensive components “Adult Signature Required” if by FedEx, UPS, or DHL. If they are sent via U.S. Postal Service, send them restricted delivery. This insures a tracking number and verification they got to their destination. If you ship USPS, it’s not a bad idea to pay a little extra for the green return receipt. That’s one more piece of evidence that works in your favor if the recipient claims non-delivery. The green card also reminds the carrier to confirm the address. 7. Keep all your shipping documentation for a year after the package has been received. There could be a unseen damage that turns up several months down the road. This illustrates the importance of carefully inspecting items you receive immediately. Don’t let a box sit around for days before you open it. 8. Handguns are by law required to be sent by common carrier (unless you are an FFL holder). 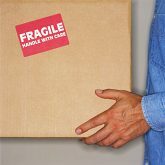 Most of the common carriers have their own rules requiring overnight or next day delivery. Long guns can be sent by ground and you can use the U.S. Postal Service. Companies such as FEDEX and UPS may try to stick you with a higher cost shipping bill by claiming that rifles and shotguns must go next day or air. That is not true. Long guns can be shipped via ground. Do check local laws however–California has special rules regarding ARs and registered “assault weapons”. 9. Keep an eye on your gun by monitoring the tracking number. You can do this online with FEDEX, UPS, and USPS. If your package does not reach its intended destination, when it is supposed to be there, then initiate a traceright away. Don’t wait. In my experience it takes from 7 days to 10 months to get a settlement on a claim. Don’t hesitate to take a shipper to small claims court if necessary. If the shipper gives you the run-around, filing a small claims action may be the best $40.00 you can spend. It only costs $40.00 to start a small claims action and the subpoena is another $5 bucks. Usually sending a subpoena to an officer will result in a rapid settlement. It is cheaper for the carrier to settle than have their corporate bigwig stuck in some small claims action. Realize the carrier usually is not the insurer. I have had two claims within the last 10 weeks and neither has been settled yet. In both cases the barelled action was double-boxed ,and in one case it was also inside a piece of schedule 80 PVC pipe and was broken. The other was in a double-walled cardboard box. The action was bent at the action barrel juncture, it now looks like a boomerang. The muzzle was pushed through six layers of double wall corrugated box. Share the post "Shipping Guns and Gun Parts"